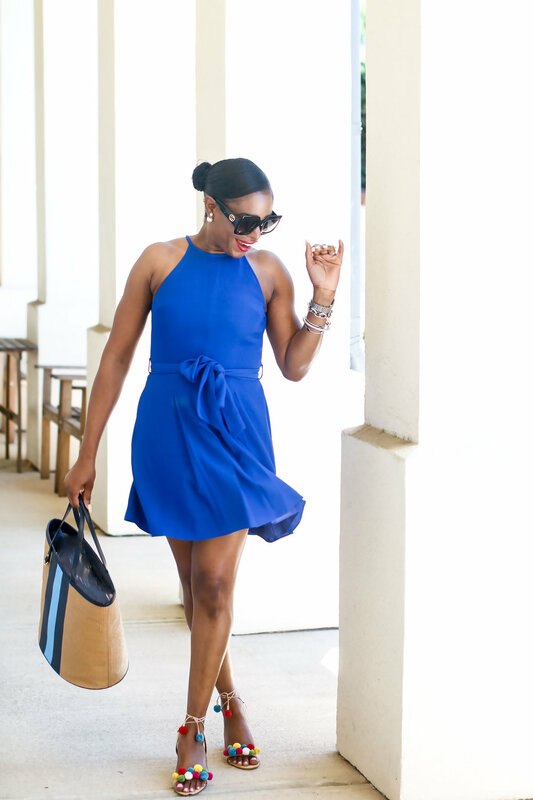 Hey Style Lovers happy Wednesday! Its midweek and I feel like there’s so much going on. My kids don’t start summer school till next week, so getting work done has proven to be a little challenging. Regardless of the kids being at home or not the show must go on, social media definitely doesn’t stop, hence my work doesn’t stop. When there’s a will there’s away. Entertaining my kids and trying to get work done has proven to be a little challenging, I’m just thankful that they have each other to entertain themselves when mommy can’t participate. 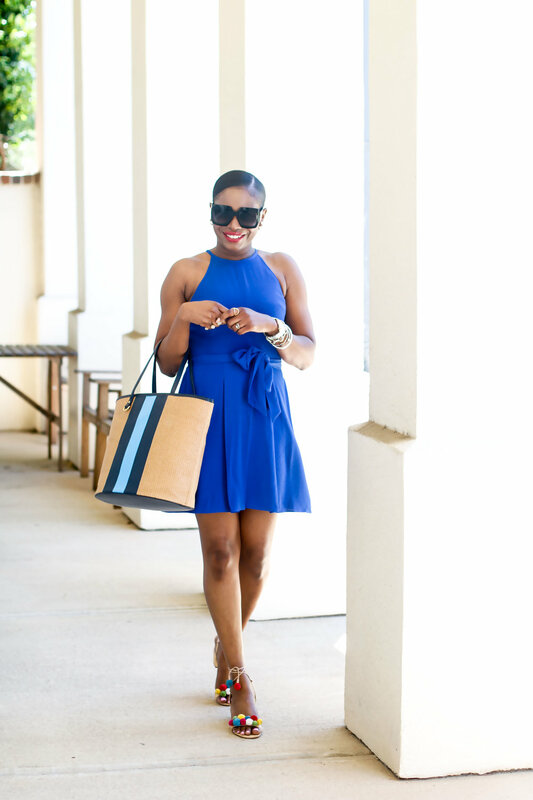 Today’s outfit post features this darling blue dress by Draper James. Draper James is actually actress Reese Witherspoon’s clothing line. This fashion brand is fun, colorful, and very southern. Draper James featured me in an article about Memorial Day weekend style, and I wore this dress to accompany the interview (checkout the article HERE). 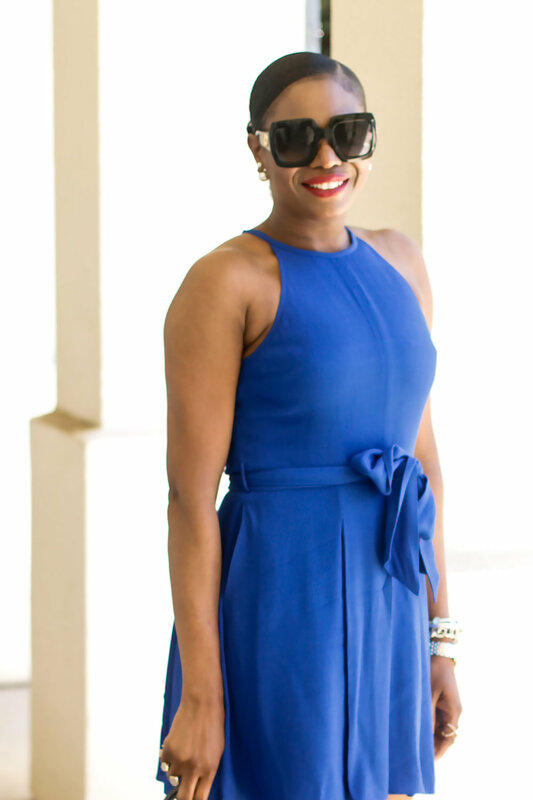 Because the dress features this beautiful vibrant hue, I made sure I paired it with details that would ultimately complement the color, the style of the dress, and the overall outfit. 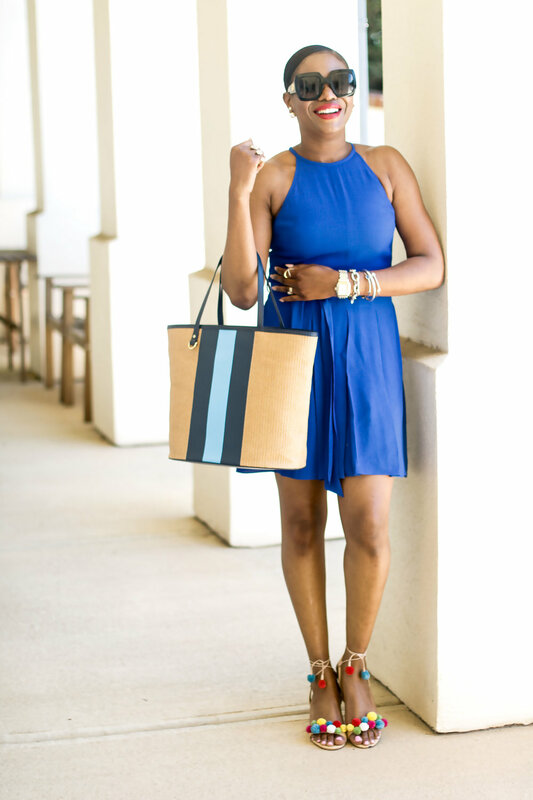 My straw bag which features beautiful blue stripes is also by Draper James, and paired with the dress creates a monochromatic appeal. 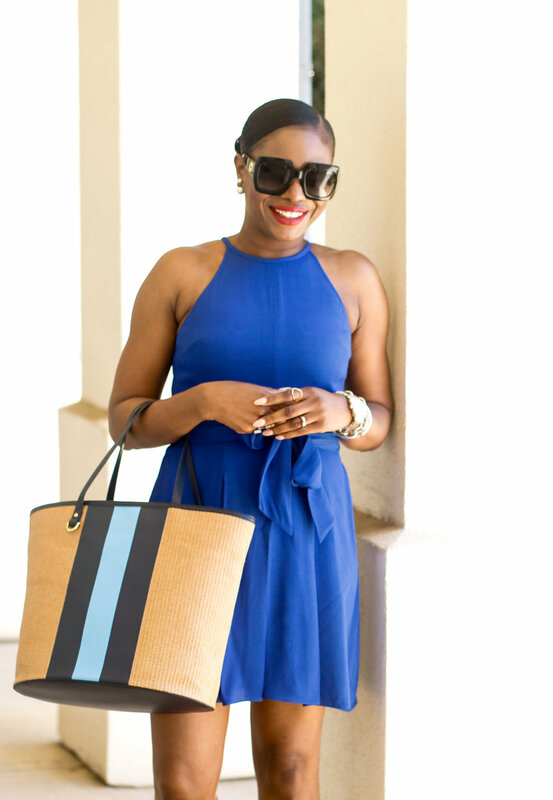 I used the blue ball details located on my sandals to pair the shoes with the look. 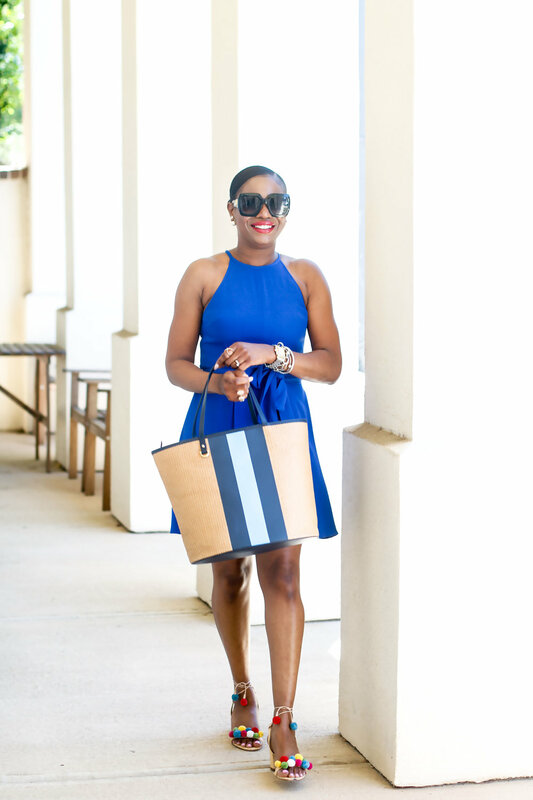 A pair of oversize sunglasses complete this outfit making it the perfect summertime outfit. 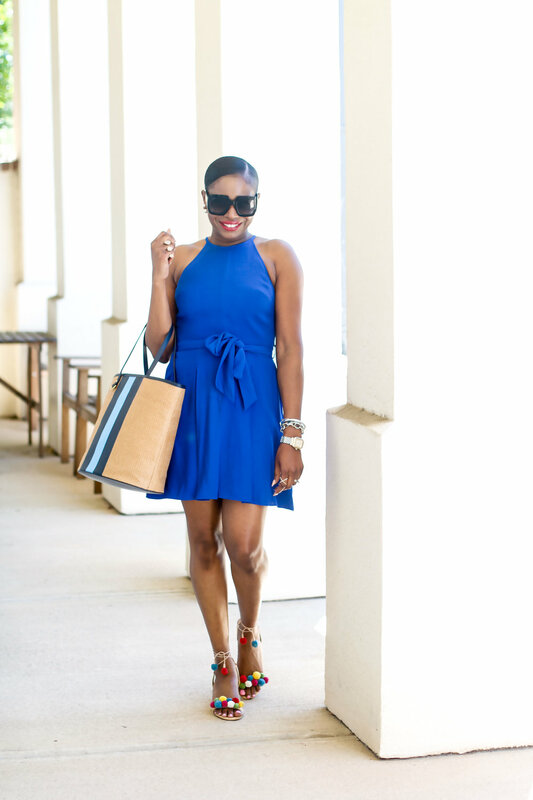 I hope you guys love this look as much as I do and click on the links to shop the post. Have an amazing Wednesday Lovelies.